I've been milking for 3 weeks now and it's been a hectic 3 weeks. I've finally got a moment for a quick update. I'm really happy with how the cowshed is operating. The second hand milking plant runs really well, the cows are walking on to the cowshed happily & I've learned how to manoeuvre the cowshed through gateways and up and down hills, while keeping both gateways & the cowshed in one piece. It's funny how over the last year I have thought about how to design various parts of the cowshed & pondered every little detail. Yet it only took 10 minutes of the first milking for me realise I had made mistakes with the layout of equipment etc. I'll be honest, the first milking did not go to plan. I have bought 7 Heifer cows. They had just calved and they have never being milked before let alone on a mobile trailer with no yards to contain them. I wised up for the second milking & came prepared with some gates, that I set up as a makeshift yard. I managed to get the cows on to the platform & milk them. Although they didn't always face the right way. The cows are now used to the cowshed and the system. Cows love routine, so I've kept everything the same. I turn up at 9am every morning, the cowshed is always in the next days break of grass. 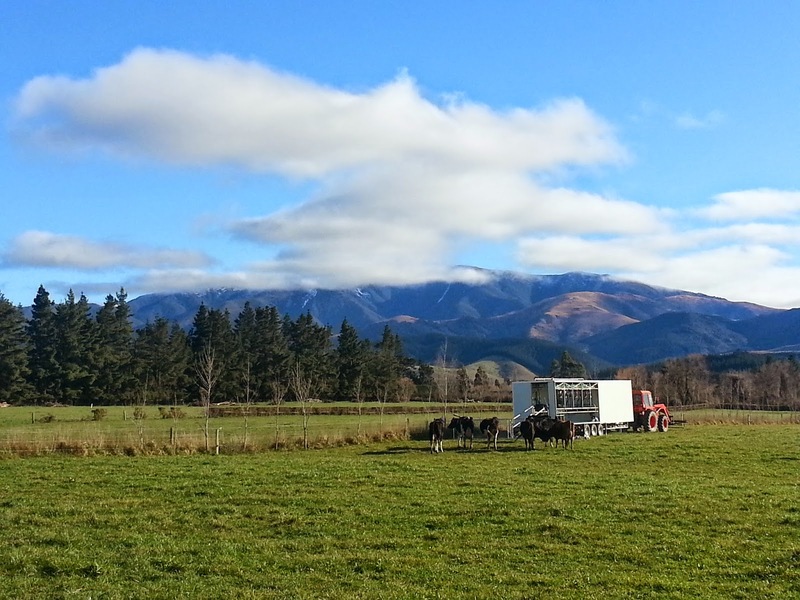 I run a portable electric fence around the cows to stop them tearing around the paddock. After milking they always exit the cowshed onto a new break of grass with a bin full of meal. When I arrive the cows are usually waiting for me at the entrance of the cowshed. I've done away with the gates that I used as temporary yards now & I just use portable electric fences at the entrance. I'm not able to sell any of milk at the moment as I haven't got my food safety paperwork sorted yet (thats a long & painful story). I'm just putting the finishing touches on the processing room & the pasteuriser over the next week or so & hopefully we will be selling milk in the not too distant future. Great to see you are now milking. I found your page about a year ago after looking around for the idea of a mobile milking shed. I am wanting to milk 40 cows but only to feed calves. I am really interested in the cost of your build(trailer/shed/milking lines) I just need to milk straight into un chilled vat. Seems blogger has stopped emailing me when I get a comment. So I missed you comment. You don't need to comply with any regulations if you are just feeding calves, so it will be much cheaper. Look on trade me for second hand milking plants. Probably cost you $10,000 installed. Trailer is not cheap, maybe $20,000 for the trailer & bails etc. To make it real cheap, just milk the cows at ground level. You just might get a sore back! I would love to hear how you manage the water to clean with and the electricity to operate. Also if you feed in there how does that storage system operate. Hi, missed you comment, sorry. I have a petrol generator 7KVA and I have 800 litres of water storage on board. I don't feed them on the trailer. 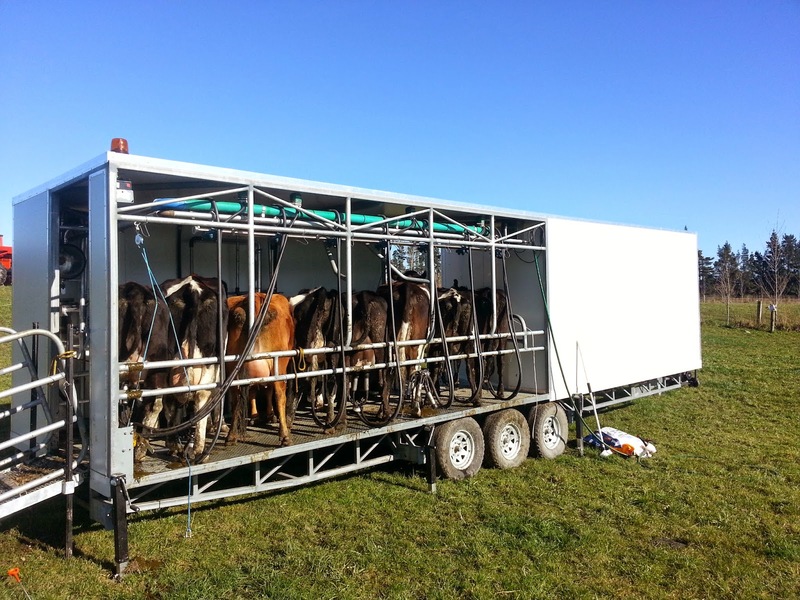 Try looking at our mobile milking parlours: www.milkingsystem.com. I think we have already "invented the wheel"
European quality for affordable price. Many of these are working successfully worldwide. Are Dairy Farm Workers Well Paid? How much money do dairy farmers make? 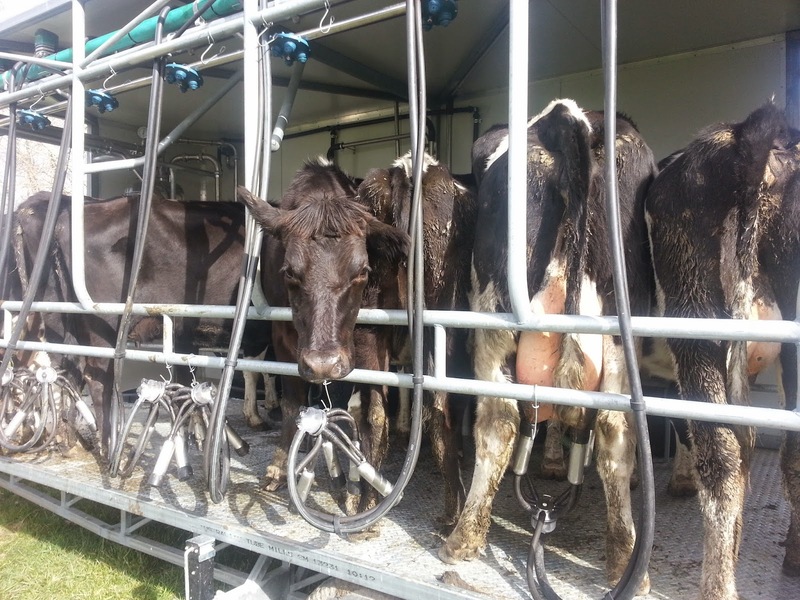 Mobile Milking System: Alternative to Sharemilking? 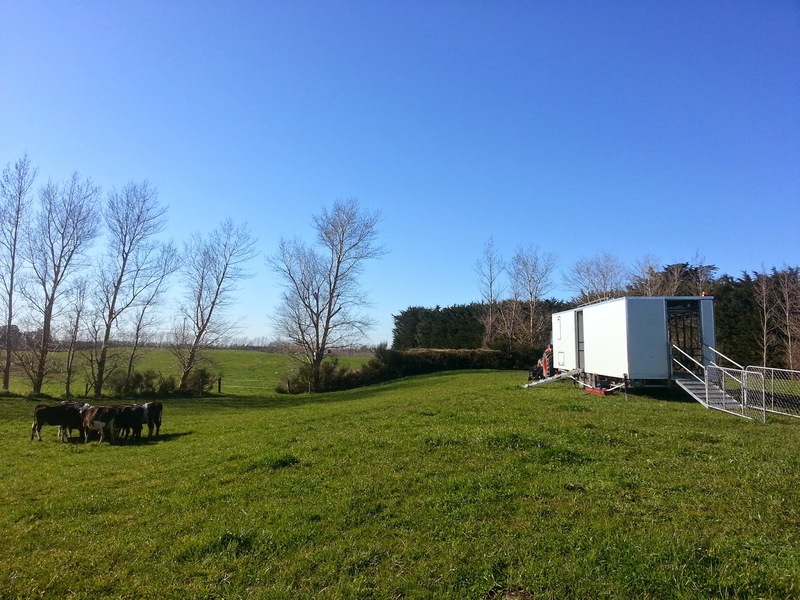 So You Want To Set Up Your Own Small Scale Milk Business? This Is What You Really Need To Know.